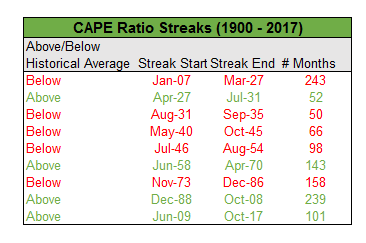 Going back to 1871 when the data set begins, the average CAPE Ratio is 16.79. 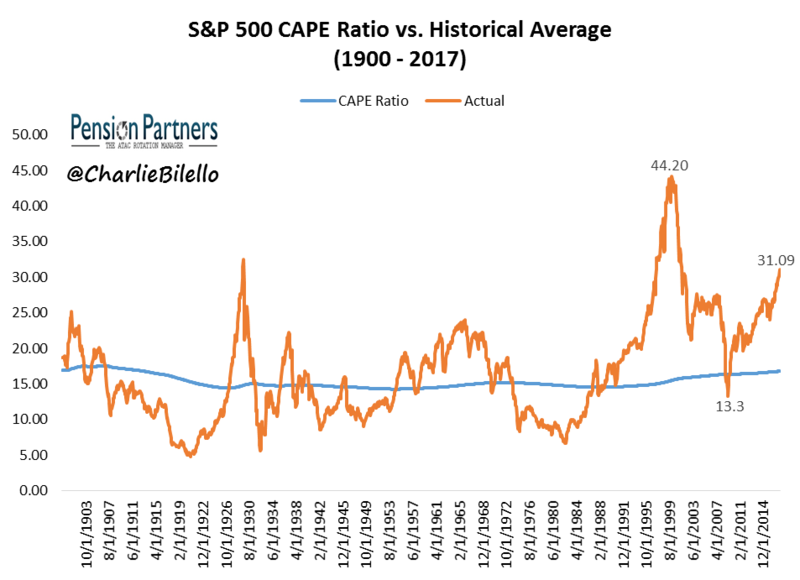 At its current value of 31.09, the CAPE is 85% above that average, meaning the S&P 500 would need to drop 46% tomorrow for valuations to move back to their historical average. As I mentioned previously there is not some magical number the marks the end of a bull market, such as a CAPE ration of 31. Over the past 20 years in fact, the S&P 500 has registered a CAPE ratio above its historical average 97% of the time. This equates to 233 out of 240 months. While I am a firm believer in reversion to the mean, that does not mean it has to happen overnight or for a week in February.